Hot stone massage is a specialty massage that uses smooth, heated basalt stones, a black volcanic rock that absorbs and retains heat well. It is deeply soothing, relaxing form of massage. The heat helps tight muscles release. The therapist uses traditional strocks of Swedish massage whilt holding a heated stone. As the stone cools, the therapist replaces it with another. 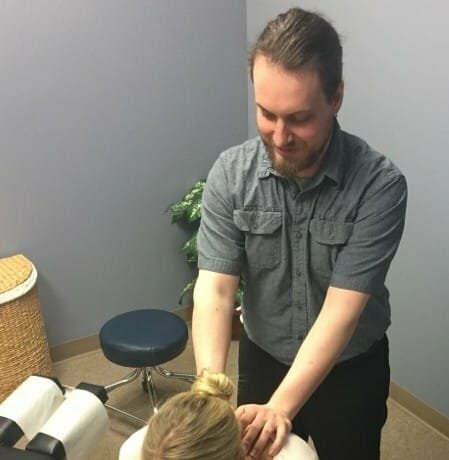 The therapist might also leave heated stones in specific points along your spine, or the palms of your hand, or even between your toes to improve the flow of energy in your body. Stones are sometimes used to warm an area prior to manual deep tissue work. Heated stones should not be used in areas of inflammation or recent injury. Aromatherapy uses essential oils from plants to heal, alleviate pain and regulate moods. Essential oils are a volatile, highly concentrated plant extracts, derived from leaves, bark, roots, seed resins and flowers. In aromatherapy massage, essential oils are usually mixed with a carrier oil like sweet almond, apricot kernel, or grapeseed oil. The therapist may use a single oil or a blend of 3-5 oils, and chooses the oils based on your personal needs. A relaxing aromatherapy massage, for instance, might have lavender or bergmont, while a massage for sore muscles might include peppermint and eucalyptus. Aromatherapy can be used to address many physical and emotional issues including stress, depression, injury and illness. Aromatherapy should not be confused with fragrances or perfume oils. The chemical componets of an essintial oil are absorbed into the body and cause varios chemical responses. It is much more than just a "relaxing scent". Therese is a trained aromatherapist and only uses high quality, therapeutic grade essential oils. If you suffer from back, neck, or joint pain, or are experiencing high levels of stress, massage may be an option. Call (715) 338-4810 today. CALL 715-381-1800 FOR AN APPOINTMENT.